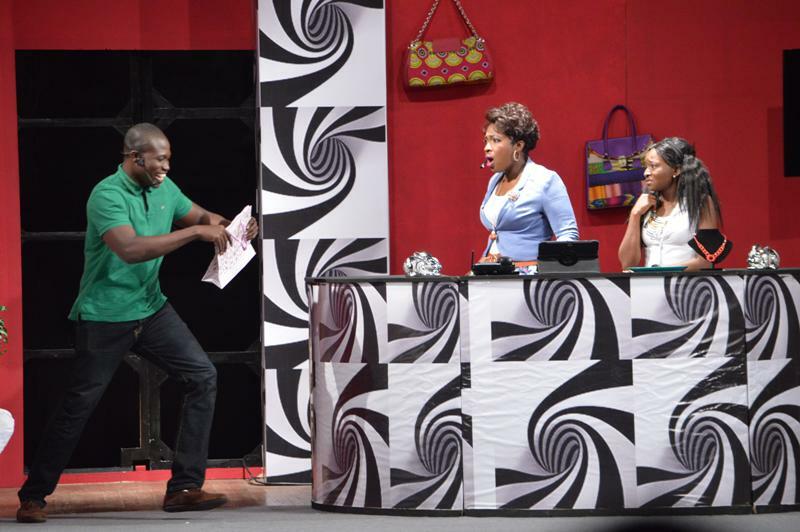 A scene from the play as he always does, Uncle Ebo Whyte, ably supported by his Roverman Productions, was once again at his best when he treated the myriad of problems in relationships in his latest play, Men Run; Women Cry over last weekend. Becky walks into a salon to be made up for the happiest day of her life since she is getting married to the love of her life, Yohan. Unknown to her, however, her soon-to-be husband had suddenly fallen in love with a lady he met at the mall that day and had followed to the same salon. Yohan is ready to sacrifice his wedding for the new lady because in his words “My eyes were closed but now they are open”. What has come over Yohan all of a sudden? Is it love at first sight or something more sinister like a charm that has hypnotized Yohan to fall in love with her new found? 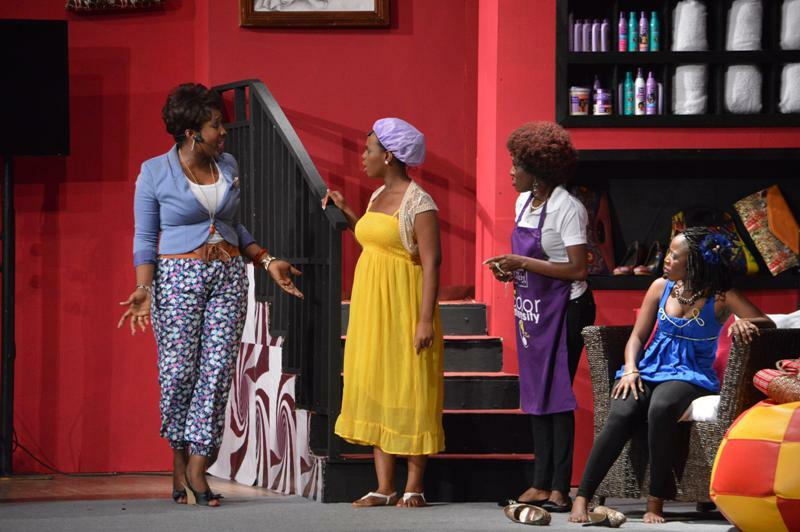 Now it is up to Efe, the salon owner to find a way of saving Becky and Johan’s marriage. 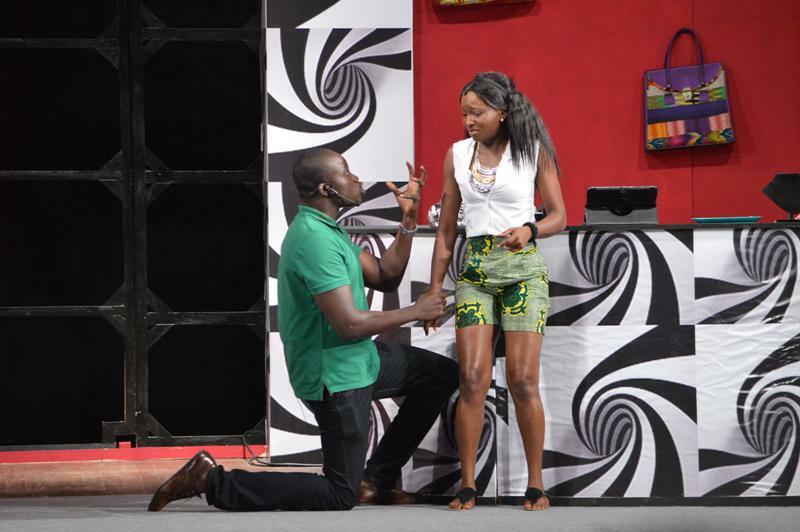 The tale is given a different twist with the incessant demands of Augusta who never appreciates Jimmy her boyfriend even after she has virtually turned him into her personal chauffeur. Augusta feels she is very beautiful and so can catch the eye of any man or even find a better man than Jimmy who had for the past three years swallowed all her ‘nonsense’ and ‘bossy’ attitude. 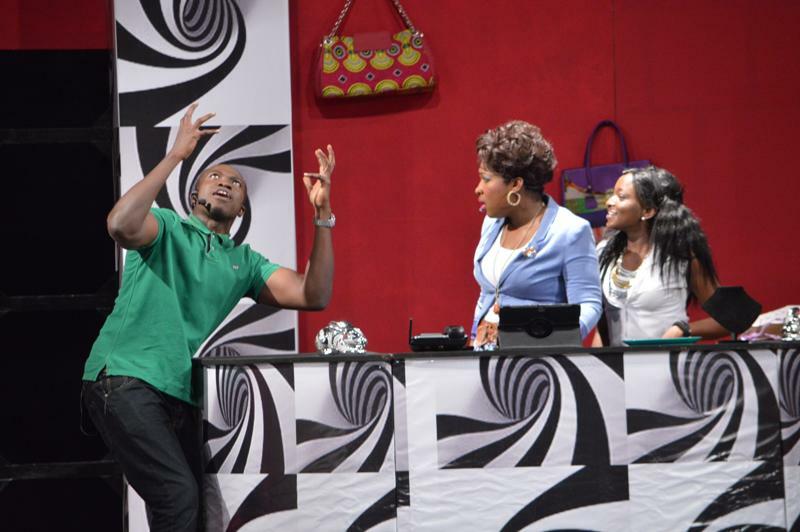 Men Run: Women Cry brings out some of the problems in relationships among which are mistrust, unfaithfulness and disrespect. 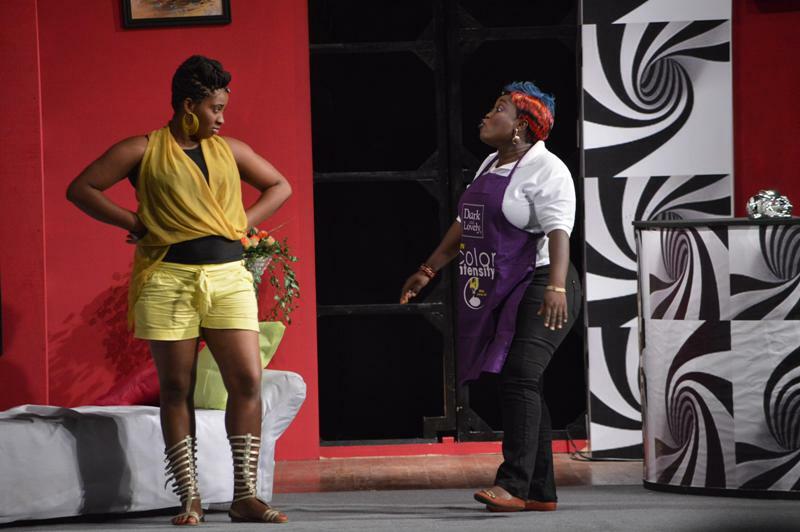 It is the third play from Roverman productions this year after Apartment N1 and What’s My Name? 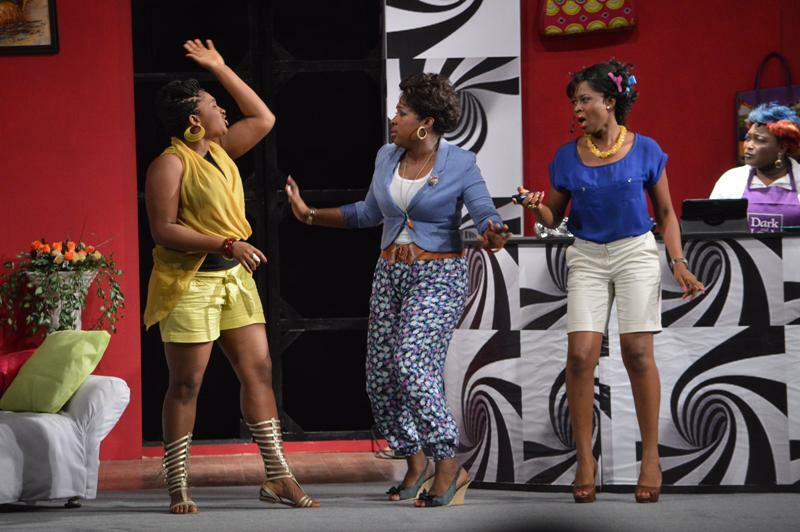 There will be a repeat show at the National Theatre next weekend, September 7 and 8. 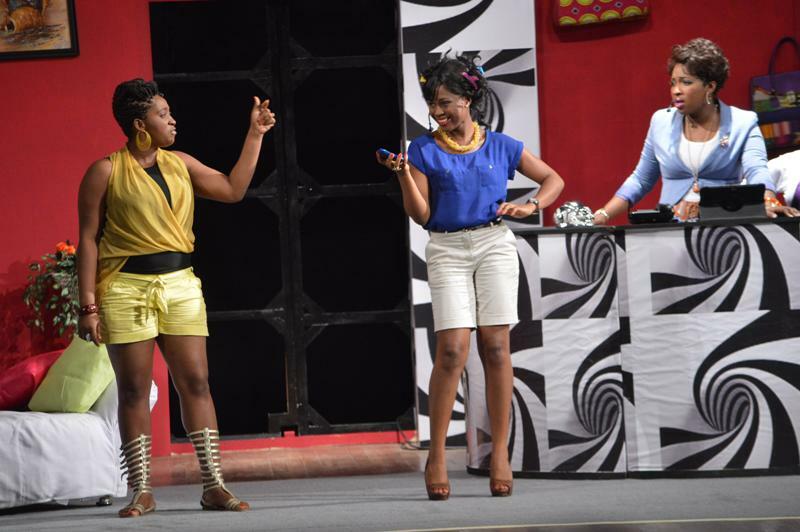 Pictures from Uncle Ebo Whyte’s new play ‘Men Run; Women Cry’ 0 out of 5 based on 0 ratings. 0 user reviews.